City-by-City, the collaborative Roadshow methodology will be further developed. In order to address these city challenges effectively, the Roadshow makes use of two contextually dependent approaches. One designed by TU Delft, focusing on energy synergies, the other being a creative design project that responds to spatial & social questions. This is complemented by a trade show, showcasing innovative technologies among which those demonstrated by City-zen partners in Amsterdam and Grenoble. These approaches will overlap during each Roadshow to develop a holistic vision, which will be ‘owned’ by each city. Now Belfast. Day 3 at the Colin Hub. It is time to start work on the ‘Design’ DAY of the Roadshow. 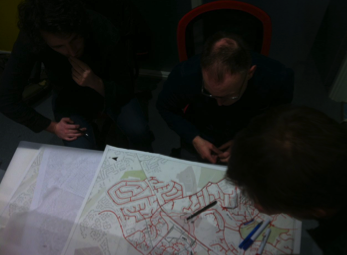 The sketch plans are progressing, design methodologies are developing, and workshops are converging at the Colin Hub! 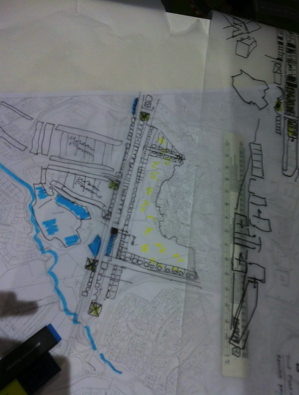 We are getting closer to the goal of a sustainable vision of Belfast. 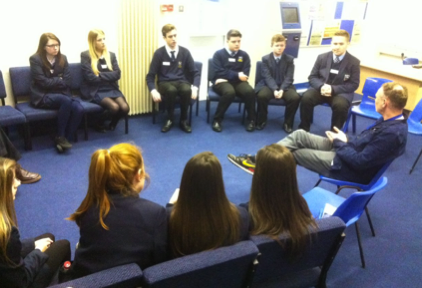 On DAY 4 of the Roadshow we visit St Colm’s High School in Colin. We are working with a selection of St Colm’s students on the projects and explain how cities can be more energy efficient. 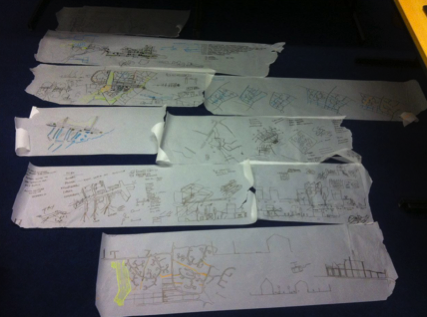 Inspired from the student session, sketches and plans develop to become ready for the final day of presentations. Stay tuned to the website to read about the final results of the City-zen roadshow!